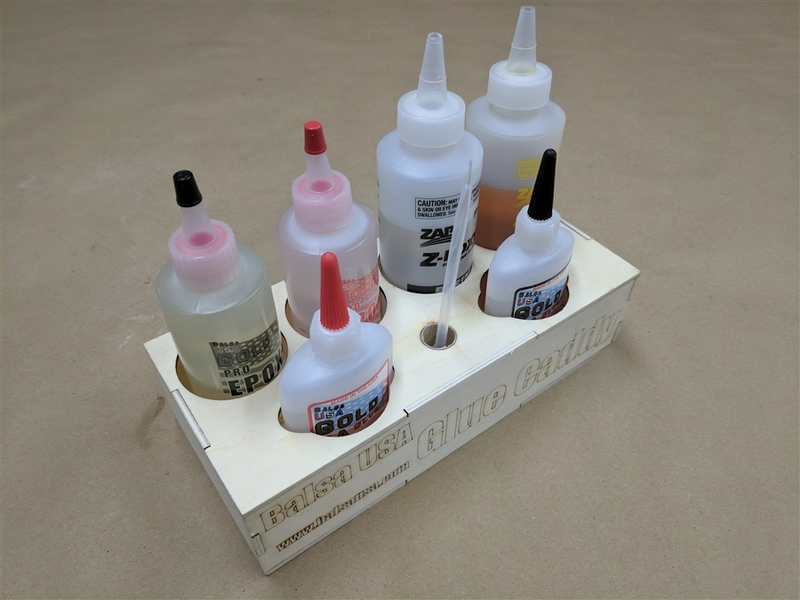 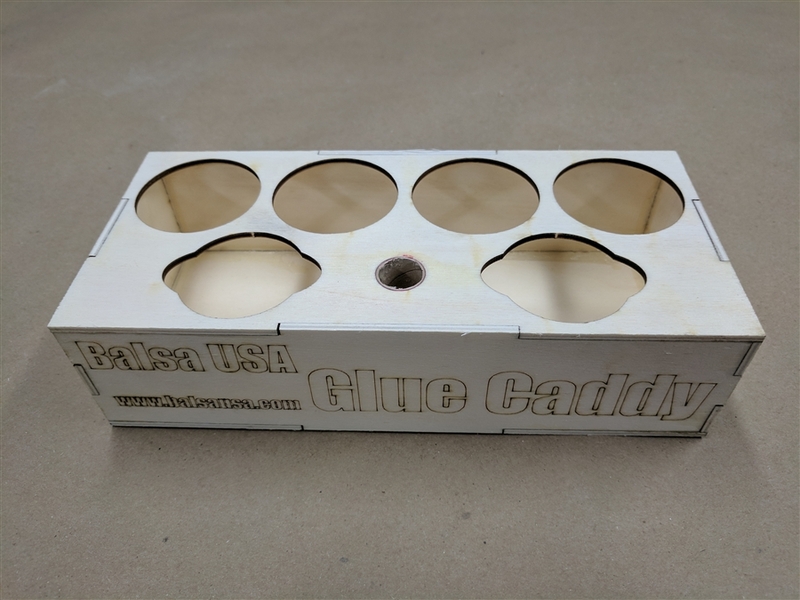 Balsa USA’s Large Glue Caddy is designed to hold two sets of epoxy, two bottles of CA, and one Pipette. 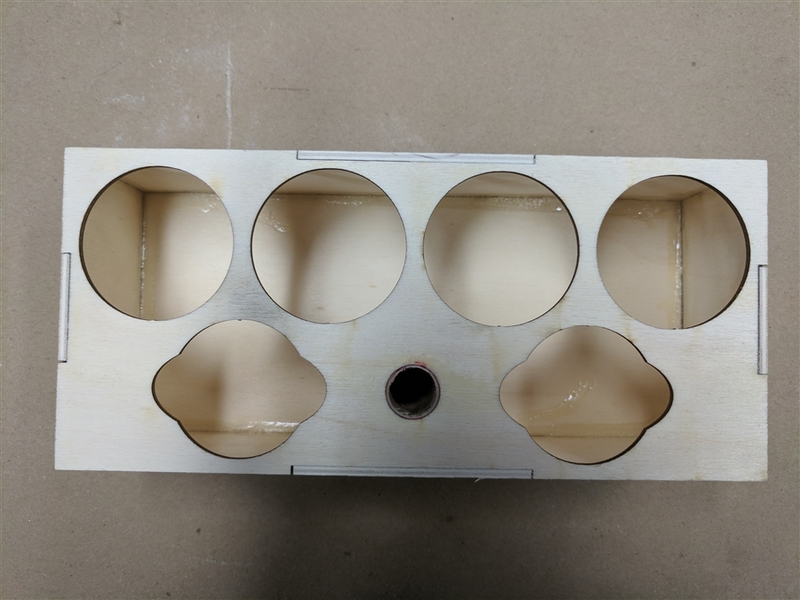 It is 100% laser cut utilizing tabbed construction so everything lines up easily and quickly! 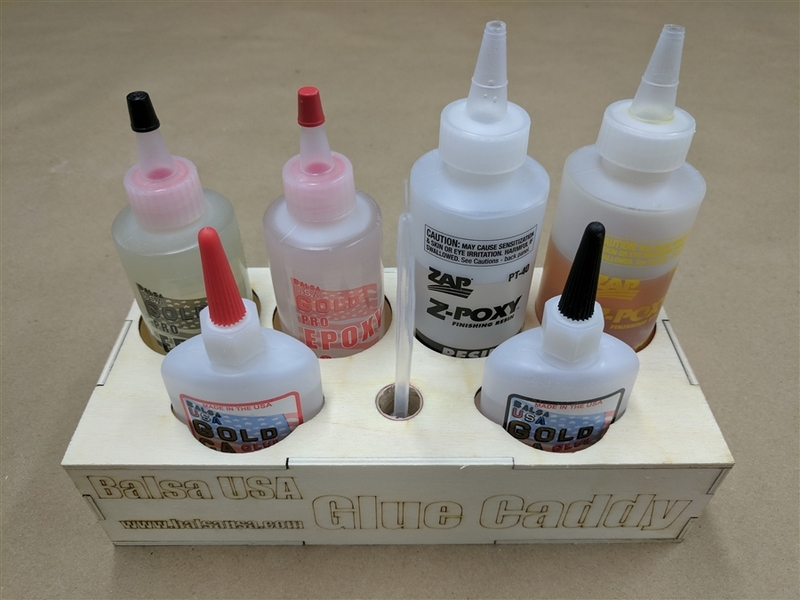 The epoxy holes are designed to fit Balsa USA Gold Pro Epoxy, and Zap Z-Poxy along with many other brands. 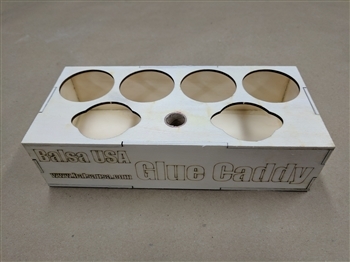 The CA holes will fit all of the common 2oz CA bottles like Balsa USA Gold Pro CA, Zap, Bob Smith, and many others. 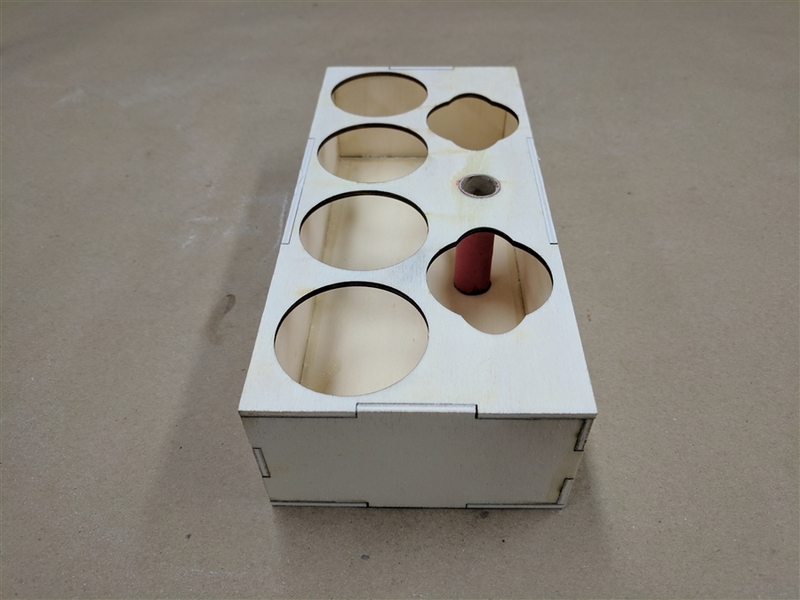 It will even fit the large 4oz Zap CA! 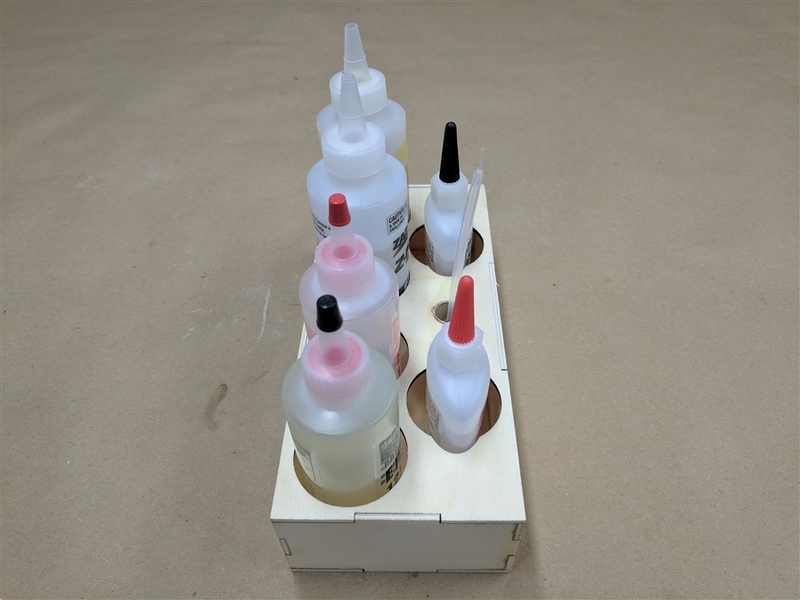 The pipette holder can even double as a knife holder for the standard knife handle with a #11 razor blade!